I have a soft spot for deadly mythological creatures. 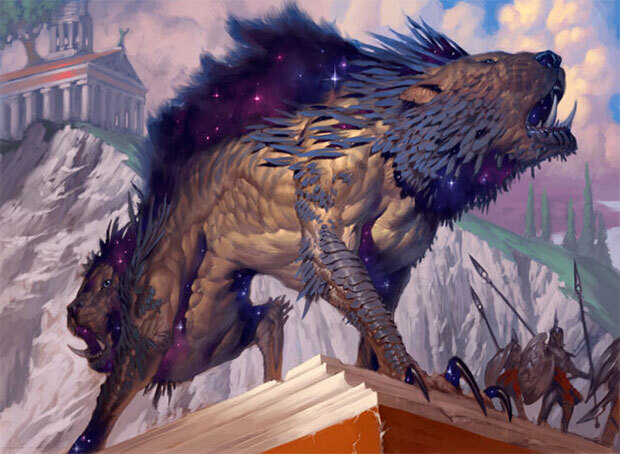 Dragons, Gorgons, Gargoyles, Manticores, and... Chimeras! 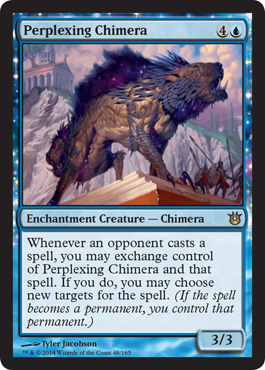 Whenever I play a game where I can have a Chimera as a companion I ironically name it "Bellerophon," because, well, Bellerophon killed the Chimera in Greek mythology. Action: Show us a wingless chimera guarding the temple. The unique thing about this chimera is that it is symmetrical and has heads and forelimbs at both ends of its body connected by a shared midsection. Mood: Fierce, dangerous, magical, and just as apt to attack one direction as the other.